The University of Exeter and PAEK polymer solutions company Victrex have signed a strategic partnership to develop products for additive manufacturing (AM). The partnership will see Victrex and the University aiming to introduce next-generation PAEK polymers and composites while improving the performance of the underlying AM processes. The collaboration is being driven by Victrex R&D and the University of Exeter’s Centre for Additive Layer Manufacturing (CALM). 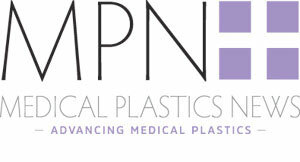 The development of new PAEK materials will have benefits in the medical sector and will allow the manufacture of medical devices to make patient specific implants. Technologies and materials to support additive manufacturing are continuing to emerge, alongside the first PAEK polymers designed specifically for AM. Greater design freedom for engineers looking to deploy AM in high-performance applications in a variety of industries. Higher-performance AM solutions, enabling the production of highly complex, highly customised, and highly specialised PAEK components. Digital design and fabrication of PAEK parts for rapid prototyping and speed to market. Improved economics through elimination of machining waste, improved refresh rates in powder bed fusion, and improved material utilisation in filament fusion. Patient customised implants and improved outcomes through new features and better fit. Ian Smith, marketing director at Victrex, said: “Victrex is keen to help overcome barriers to adoption and realise the full potential of PAEK/PEEK-based parts produced using AM technology. In order to open up the AM supply chain, we need to continue to work together to develop an eco-system that can address unmet industry needs and accelerate the adoption of PAEK/PEEK for AM technologies. This cooperation with the University of Exeter is one part of Victrex´s efforts to construct that eco-system."